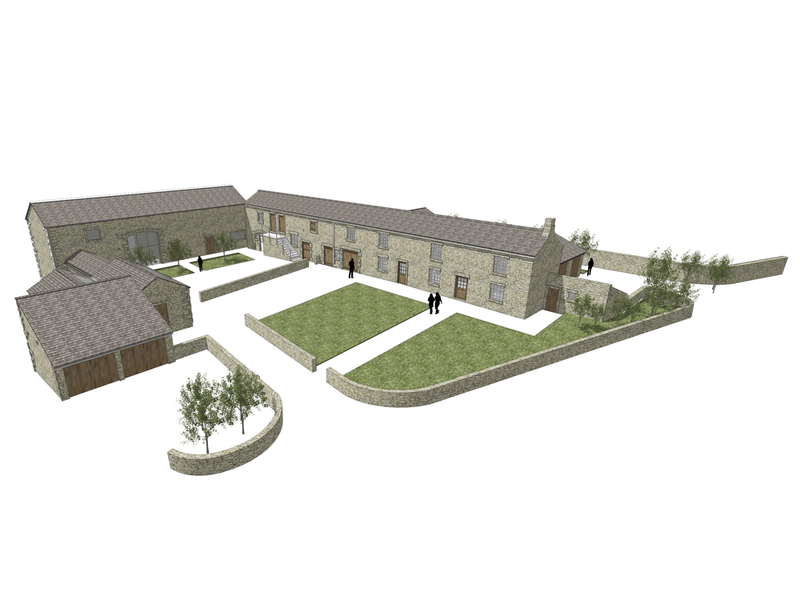 Nestled in the countryside between Harrogate and Leeds, planning permission has been gained for the renovation of an existing farmstead and ancillary barns into a private house. Working with the existing buildings, the design represents a sympathetic conversion which retains many of the existing features but also incorporates a contemporary extension that maximises views across the surrounding countryside. The works also include a new biomass boiler contained within an existing barn which will provide sustainable heat and hot water for the house.